Posted on July 2, 2017 by Lena K.
It’s getting more and more interesting, and I can already see some intense “fights” happening this round. Some of the big ones will go for sure this time. But which ones? And as always, you can find the updated tournament bracket right here. I imagine that, for Anonymous, it isn’t picking Hanzo that’s evil, but that someone else picked him first. However, when I first read the comment, I thought Anon intended a different meaning of pick, i.e., hit or kill, coz’ that’s the way I feel about them pesky snipers…you just come running out of your safe-space, happy as a clam, and them, BAM, BAM, you’re dead. Thanks, Hanzo! I can’t help but think that either Kase-san or Girl Friends were destined to win from the start, don’t get me wrong, they’re both amazing in just about every aspect, and that’s the problem, I’m dreading the experience of actually choosing between the two at some point. I have to remember that we’re talking about candidates for an anime adaptation, not just picking favorites, I should really gravitate towards ones which would translate better on-screen rather than just going with the ones I like most, granted, a lot of the decisions I make are based solely on the fact that I just haven’t read the opposing candidate. 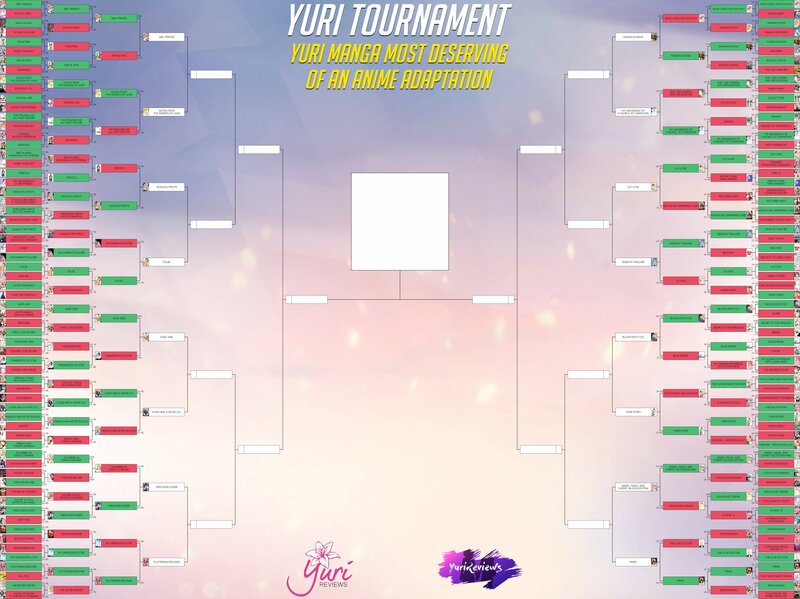 Every time I go through one of these tournaments, I just remember how much of a pleb I am when it comes to Yuri manga, I really should put in the time and read more. 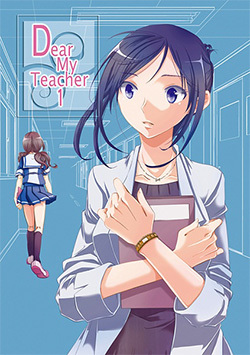 I don’t know about anyone else, but I just can’t do non-Japanese works, to be honest; the art style of most Manhwa/Manhua really puts me off, that and I’m used to the right-to-left reading pattern, it just feels somewhat unnatural. 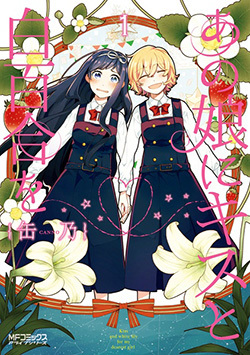 I tend to gravitate away from more mature and angsty works, although most yuri manga have at least some level of angst (Citrus and Girl Friends’ angst levels are more or less my limit, this is why I’ll probably drop Netsuzou Trap), I definitely prefer floofy pure happy yuri times over being perpetually depressed at the fact that literally nothing goes right for the characters ever; thoughts? Right now, I have physical copies of: Netsuzou Trap volumes 1-2, all of Girl Friends, volumes 1-2 of Kase-San, all of PMMM, volumes 1-5 of Citrus, and Volumes 1-2 of Bloom into You (I also have volumes 1-3 of Nichijou, but that hasn’t got much to do with yuri unless you’re as diligent as me with the shipping), I’ve also read a fairly large sum of yuri manga online, but I’d really prefer physical copies to be honest, that way I can look at my bookshelf and know for a fact that I’m a yuri fan instead of reminiscing on stuff I’ve read online and having a faint idea of my yuri fan-ness. I personally enjoy both, even though I’m more interested in some non-Japanese works right now. They give off a different vibe, the stories are mostly not at all how the Japanese ones would play out. 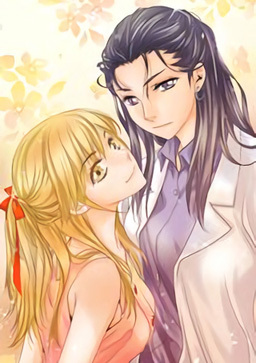 No student x teacher and certainly not much of the widely popular high school student x high school student type of romance. It’s so nice for a change, as well as the fact that I enjoy most of the art styles and of course the fact that it’s usually fully colored. It might of course not be for all of us, but I certainly enjoy being able to get some more variety. 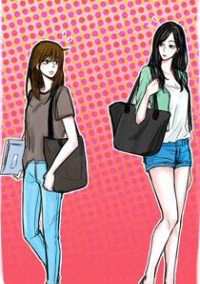 What I like about Manhwa’s is that they seem a bit more mature and actually have some real “villains”. 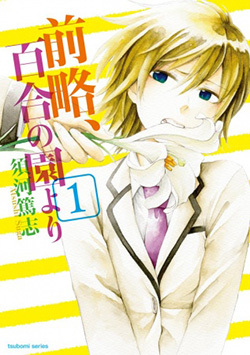 I mean, if you’ve read White Angels Have No Wings, you know what I mean, even if it is a standard highschool setting. That doesn’t mean I read my share of fluffy yuri as well. I just enjoy both styles. It looks like a few of my favorites are going to fall this round. 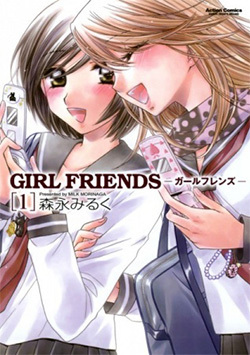 Alas, Girl Friends is still a juggernaut, and it doesn’t seem like anything can stop it in it’s path. Something I’ve noticed is that a lot of these are still ongoing, which is a criteria in particular that I take into consideration when I voted. Granted I actually enjoy most of these, I suppose it’s time to pick a side. 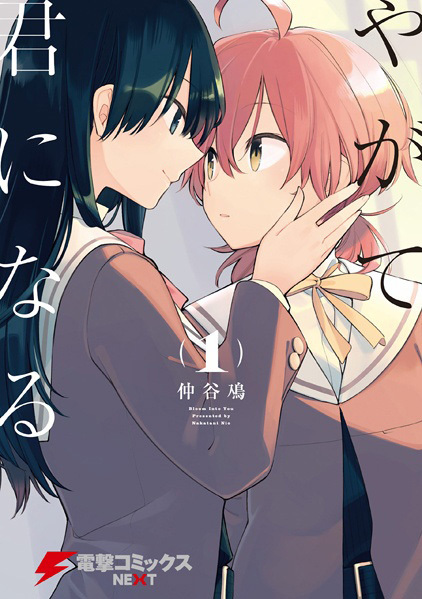 I still stand by my prediction that the title match will be Girl Friends vs. Bloom Into You; old Yuri vs. new. As much as I’d enjoy this showdown, I want it to be Manga VS Manhwa instead. I know if that was to happen, some people will start ranting at some point (hasn’t happened so far, but it will, I’m sure :D), but oh man would that be interesting to see! Granted everyone has their opinion, I just don’t see Fluttering Feelings or Their Story being worthy as they’re just soooooo drawn out, let alone FF has been on hiatus. 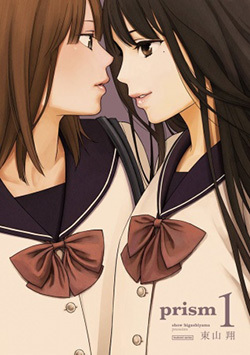 I still keep up with Their Story, but it seems like every release it’s about one of the way too many characters that are in it and stray away from the Yuri. Of course that’s a style that can be done and clearly is the author’s intent, it’s just so boring to me. Maybe Pulse has a chance, but I haven’t even read more than a few chapters because it just didn’t entice me. I’m very surprised that Prism has made it this far, considering the situation it was in. To be fair, I think it had so much potential, and people see that as well. 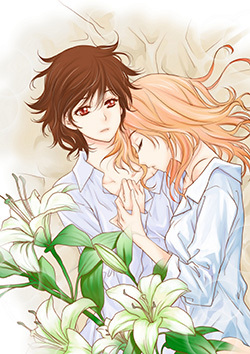 Despite the fact that I’d usually say something like “the more yuri and the more kisses in a show the better”, what I think would actually be even greater, is seeing a painfully slow romance forming over the course of the whole run of idk like 12 episodes or more. I can absolutely see how an anime of Fluttering Feelings could pull that off and still place the obvious yuri hints every here and there to keep people wanting more. Citrus for example combines these things. The romance is drawn out, the obstacles are there and yet there are kisses, confessions and what not lurking behind each and every corner. 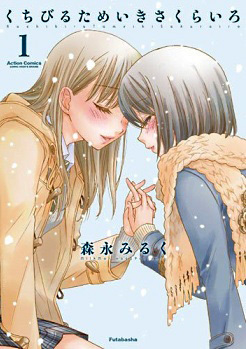 It’s not the best drama-wise, but it will probably do a great job in both getting the ones interested that just want to see some girls making out, as well as the ones who actually look for some romance. 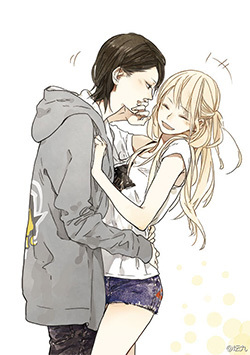 Many Manhwa take way longer to even display a little kiss and the romance is super drawn out, but that’s part of what I love about so many of these stories so much. 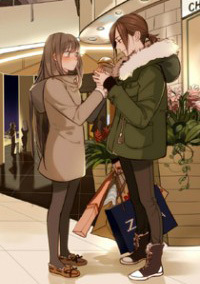 I think a showdown between Pulse and Girlfriends would already be an awesome mini finale and I actually believe that it’s gonna be a very close match. 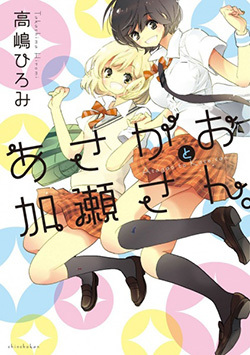 When I think about anime and how they usually play out these days, Kase-san probably would lend itself slightly better to be chosen for an anime spin-off than Anokiss… But I really think Anokiss is a stronger story. Wait, Prism is beating out Morinaga Milk?! Astonishing! Seeing Gekujou Drops still around is a surprise for me too. I liked it back in the day, but I never thought people would enjoy it that much and still remember it seeing that it’s been quite a few years since it came out. As someone has already said, I do honestly have a feeling that Girl Friends or Kase-San will end up winning on the merits that they are just that good! 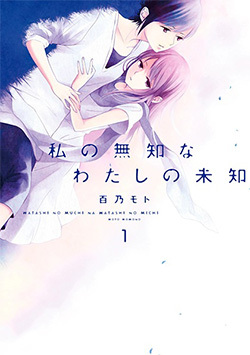 But I can’t help but to root for the one of the underdogs, Miss Sunflower since I just finished reading that one and really liked it, even if it is loosing to Fluttering Feelings (which I also need to read) right now. But a girl has the right to dream I guess! Absolutely, especially for such a charming series! I, too, am hoping for a strong last minute surge in support for Himawari-san. Those three contests and GF vs. Notes were the most difficult for me as well. Despite the difficulty of choosing between the manga in these pairings, I am overjoyed to learn that so many of my favorites are loved by so many others.